A piece of concrete block fell down an elevator shaft from the 14th floor of a building to the basement, striking an elevator mechanic on the head. 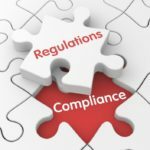 Is a masonry company at fault, and will an OSHA fine stick? The elevator mechanic suffered fractured vertebrae and other serious injuries. It could have been worse: He was wearing a hard hat. OSHA fined Lang Masonry Contractors Inc., an Ohio company, $7,857 for one serious violation for failing to establish a limited access zone before the construction of a masonry wall. The company appealed the fine to the Occupational Safety and Health Review Commission (OSHRC) and an administrative law judge (ALJ) heard the case. Lang was one of several companies taking part in the renovation of a building in Columbus. Throughout the renovations, Lang worked on walls around elevator doors either on the weekend or in the evening, and the work was scheduled and coordinated with the elevator contractor. But there was an exception on Thursday, Sept. 22, 2016. Casey Martin, a mason for Lang, conferred with the construction management company and decided the work that needed to be done the following Saturday was too much to be completed in one day. So Martin started the job on Thursday. After working for a while, Martin paused to check on work elsewhere in the building and laid a piece of concrete block on the wall without mortar. The next mason would then know this is where the job was to be picked up. About an hour after Martin stopped working on the wall, a piece of concrete block fell down an elevator hoistway and struck an elevator mechanic in the head. Lang had temporarily designated Martin as a supervisor in spring 2016 at the renovation site for about two or three weeks. When an OSHA inspector questioned him, Martin said he had been “the boss” on the day the elevator technician was injured. But Lang disputed that Martin was in charge that day. Martin was the only Lang employee at the renovation site on Sept. 22, so he couldn’t have been supervising anyone that day. There was a designated Lang supervisor for the renovation site, but he wasn’t there that day. During the OSHRC hearing, the ALJ asked Martin why he told the OSHA supervisor he was “the boss” on site for Lang on the day of the injury. Martin said he took responsibility because he was the senior mason. Lang’s safety director testified before the ALJ. He said Martin’s job on Sept. 22 was “mason,” and he hadn’t designated him a supervisory employee. OSHA had to show that Lang knew of the hazardous condition or could have known through the exercise of reasonable diligence, which includes the knowledge of a supervisor. As Lang’s safety manager testified, no one delegated supervisory authority to Martin. The hallmark of a supervisor is authority over other employees. There were no other Lang employees there that day. Martin worked alone. For those reasons, the ALJ found OSHA had failed to show Lang had constructive knowledge of the hazard that caused the injury. The ALJ vacated the violation and fine against Lang. One note: Although the OSHA fine was vacated, an employee still suffered serious injuries because of this incident. 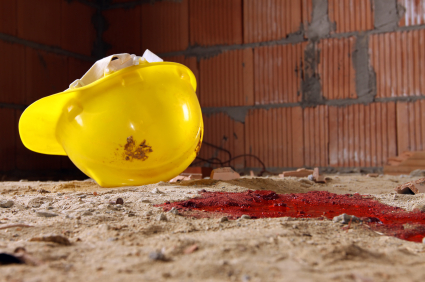 This injury could have been avoided had there been better communication between the companies at this multi-employer work site.